Great for corporate events, banquets, and much more! 6.5 In. White Square Plates - 10 Ct.
9.5 In. White Rectangular Plates - 10 Ct. 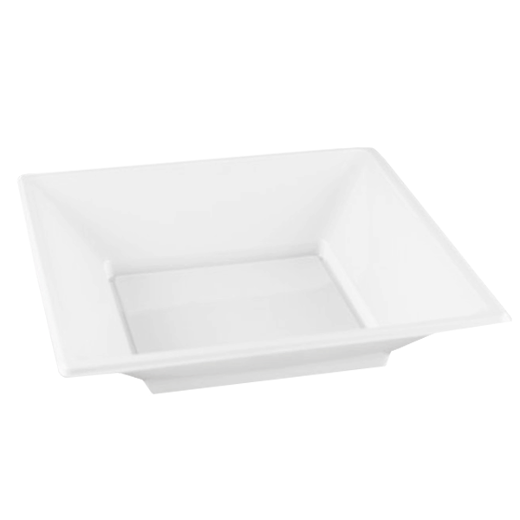 Delight dinner guests at your next event with our thin square bowls. Made of premium plastic, each bowl combines the convenience of a disposable with the stunning appearance of real china. Each bowl features a modern design that is certain to enhance any table setting. Great for corporate events, banquets, and much more! Please Note: The square bowls are a one time use disposable product. It is thinner than our standard product. L: 7.0 in. W: 7.0 in. H: 1.75 in.